From the Editor. The so-called “opioid crisis” is a painful reality in almost every community in the United States. 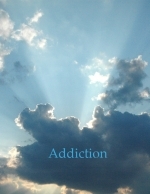 Dr. James Berry encourages church officers to understand addiction as disease in his article, “Flesh and Thorn: Understanding Addiction as Disease.” He practices as an addiction psychiatrist and is an associate professor of the Department of Behavioral Medicine and Psychiatry with West Virginia University. As an OPC elder, he believes that we are responsible for the choices we make, including those related to addiction, but that Christians have too often discounted the pervasive element of disease in addiction and mental illness. It is all part of being fallen in a fallen world. Mark Patterson, a member of Christ Community Church in Brisbane, Australia, reviews Sinclair Ferguson’s wonderfully pertinent exploration of the eighteenth-century Marrow Controversy, The Whole Christ. Ferguson challenges Reformed ministers especially to get the gospel of God’s transforming grace right or God’s very character will be distorted. This review should whet the spiritual appetites of church officers, especially preachers. Ryan McGraw reviews Joungchun Cho, Anthony Tuckney (1599–1670): Theologian of the Westminster Assembly. This little known Westminster divine was an important theological and spiritual force in the church of his day and in the Westminster Assembly. David Noe, an associate professor of classics at Calvin College, reviews Richard Muller’s latest gem, Divine Will and Human Choice: Freedom, Contingency, and Necessity in Early Modern Reformed Thought. Muller’s work on resuscitating post-Reformation theology has caused a revolution in the study of this important postlude to the magisterial Reformation. Muller proves time and time again, through a close study of original sources that the post-Reformation theologians, far from veering off the track into Scholastic rationalism, built squarely on the theology of the magisterial Reformers through meticulous exegesis of Scripture and profound reading of orthodox theology going back to the Ancient Church Fathers. Ryan Glomsrud, an associate professor of historical theology at Westminster Seminary California, reviews Mark Galli’s Karl Barth: An Introductory Biography for Evangelicals. Dr. Glomsrud is currently writing a book called Calvin’s Free Pupil: The Early Karl Barth and the Reformed Tradition. He recommends Galli’s book as a good introduction to Barth, with all of the appropriate caveats about Barth’s theology. Finally, don’t miss our poem this month, “The Rain Gasped For,” by the great New England pastor and theologian Cotton Mather (1663–1728). Karl Barth: Friend or Foe? “Addictions.” (M. Van Liuk) 11:4 (Oct. 2002): 67–72.